Halloween is approaching, and we are gathering costumes and treats, for humans and canines alike. 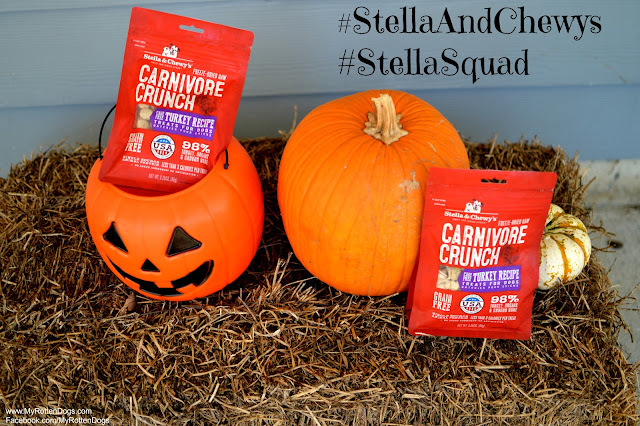 One way to treat your dogs for Halloween (and the rest of the year) is with Stella & Chewy's Carnivore Crunch. My Rotten Dogs are Stella & Chewy's ambassadors. We are being compensated to help spread the word about Stella & Chewy's, but only share information that is relevant to our readers. Keeping trick-or-treaters happy is a priority for me, and I cannot resist a good costume. 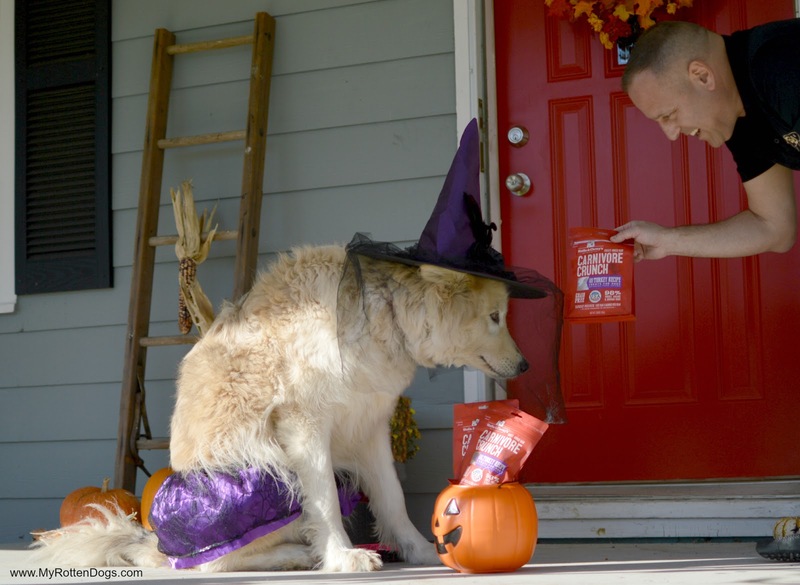 Candies and chocolates for the humans, and Carnivore Crunch for the canines. Carnivore Crunch are small treats (perfect for training) that are 98% meat, organs, and ground bone, and made with cage-free, grass fed and wild caught proteins. They are grain and gluten-free, and at less than 3 calories per treat, you can offer them without guilt. Their small size makes them ideal for training, and also as a "just because I love you" treat. I also love that hardly crumble at all, which is a bonus for any treat. Neeko was more than happy to join the #StellaSquad, don her costume, and go trick-or-treating for some Carnivore Crunch! 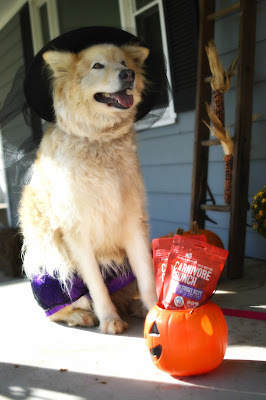 If your dogs do tricks for treats, offer them some Carnivore Crunch!